Replace your worn out trampoline enclosure net for added safety this season! 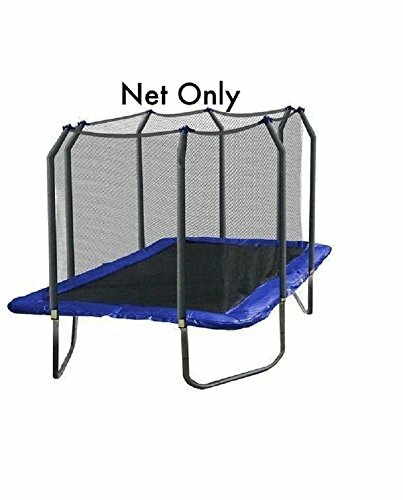 Replacement net fits 9 ft x 15 ft trampoline with 8 poles and straps.The net is made from high quality terylene mesh and the net is attached at the bottom between the safety pad and jumping mat to ensure maximum safety. Net is made from thick mesh netting and is UV protected, anti-bacterial and anti-fungal protectants. This net is designed for Skywalker Trampolines but may fit other brands. Compatible with the following models: STRC915. Product Details: 9' x 15' Trampoline Enclosure Net. Skywalker.